Mountain Living At It's Best! Enjoy every day as the year round stream cascades through your backyard greenbelt. Creating an atmosphere of Peace & Tranquility, from your sun decks, plus a classic bridge across. 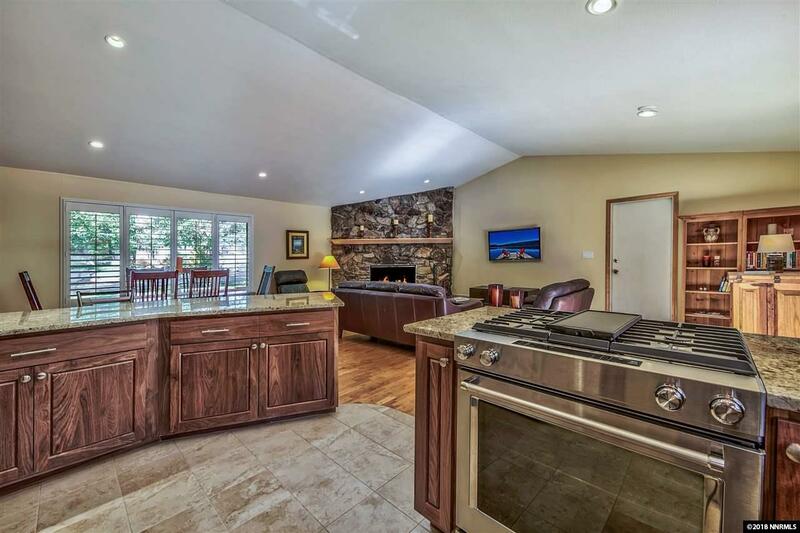 Remodeled with designer kitchen, and all new appliances. 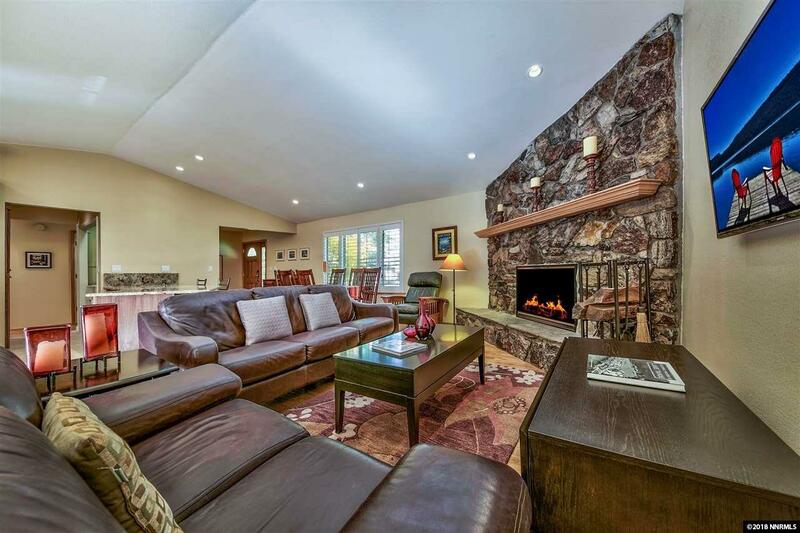 Large granite slab breakfast bar, hardwood floors throughout, massive fireplace, new fixtures, plus contemporary elements. 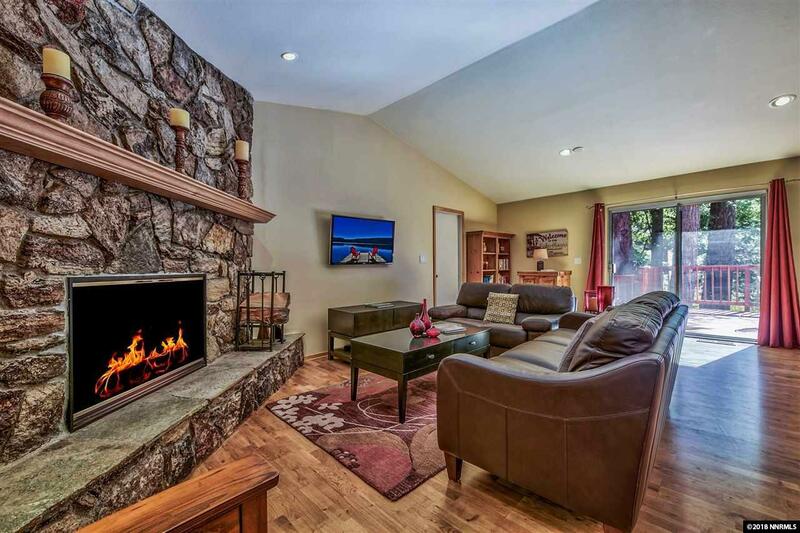 Sunny landscaped corner lot adds to the beautiful property. 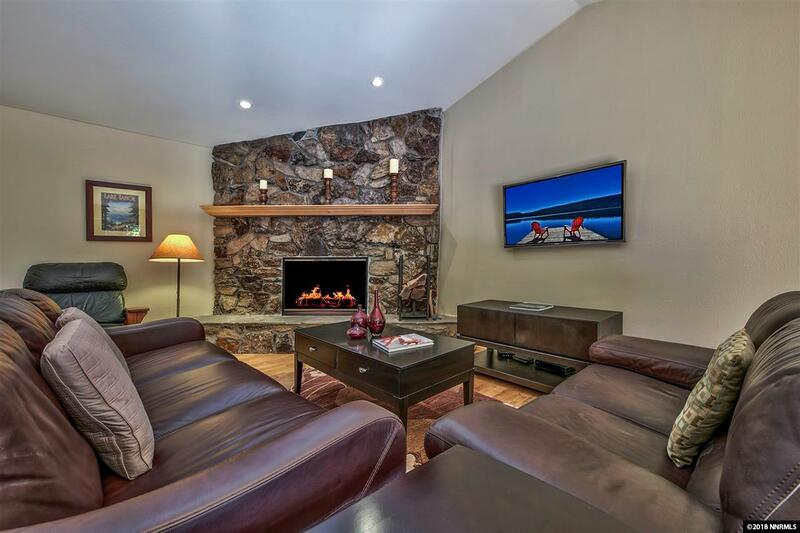 Excellent quiet location near all the treasures of Tahoe!